Whether you have an extensive family or you’re living single, everyone has experienced food going bad in the refrigerator. Rather than tossing expired products and food scraps in the garbage, enrich your garden and help save the environment by starting a compost pile. Composting is an excellent resource that enhances the composition of garden and potting soil without the need for toxic chemical fertilizers. It also helps reduce the waste entering landfills, helping to curb methane emissions that are overwhelming the Earth’s atmosphere. 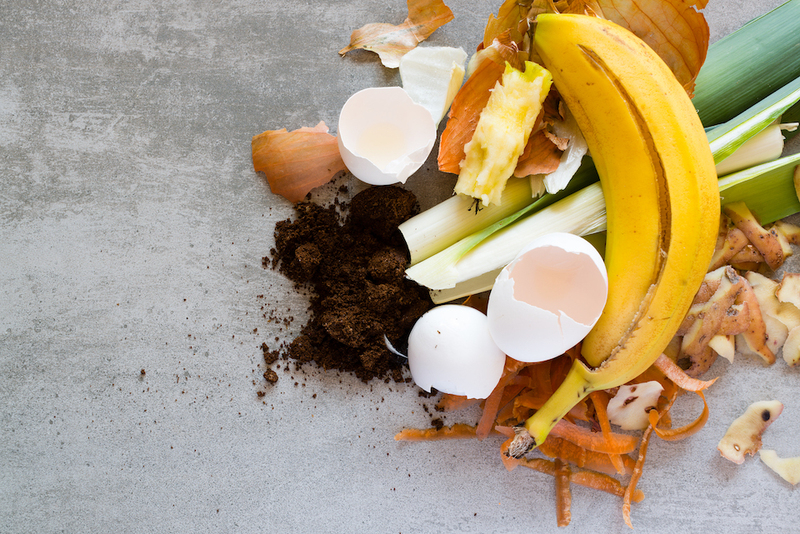 And while composting isn’t as second nature as throwing food in the trash, starting a compost pile is an easy lifestyle change that will benefit you and the environment. Whether you choose to have a compost pile or keep everything contained in a bin, you’ll want to make sure to pick a sunny area to house your compostables. For piles, choose a dry area with good drainage, so the compost can dry intermittently and break down easier. Avoid low areas that allow water to pool or areas that are susceptible to direct wind. If you’re opting for a smaller bin for kitchen composting, you’ll also want to consider placing your container in a cool spot that receives plenty of sun. Compost bins can run the gamut of simple, 1-gallon containers for kitchen scraps to 100-gallon tumblers that will help you turn and aerate compostables. When choosing bins, choose containers with good ventilation and a receptacle at the bottom to catch drainage. Start off by lining bins with strips of old paper (newspapers, old documents, or any other uncoated paper) soaked in water. Once lined, pour soil atop the paper lining. For vermicomposting, which uses red worms to catalyze the decaying process, add in the worms after the soil. The number of worms needed depends on the size of the bin. Every pound of worms needs about 1 square foot of space. Not all food can be composted, and you’ll want to be mindful of this when starting to avoid attracting any unwanted pests to your pile. You’ll want an equal mixture of brown materials, such as the leaves and twigs, and greens, such as the vegetable waste and grass clippings, for the best chemical reaction. When mixed with water, the brown and green materials will mix to create carbon and nitrogen, producing the enriched soil. Though compost should be damp, it should not be soaking like a swamp. 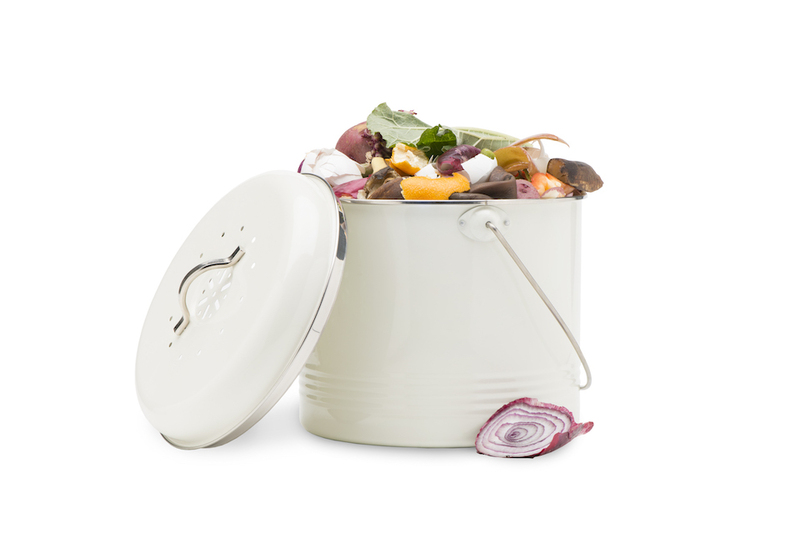 If the compost is too moist, a smell could form, attract pests and deter you from continuing. Prevent this by aerating the pile regularly. When adding new material, use a shovel, spade or hand cultivator to cover the food scraps with the old compost. A thick layer of compost or other dry materials on top will stop smells from forming and releasing. For vermicomposting, allow the worms enough time to feed for proper turnover. If you produce a lot of food waste, consider using two vermicomposting bins to give the worms ample time to break down ingredients. Depending on the size of the pile or compost bin, a rich, earthy soil will start to form in about four to six months. The composted soil should be crumbly, but not dense. Use it mixed in with the soil in your garden beds or sprinkled atop your lawn for lush, green grass. Instead of buying bags of chemically laden potting soil, you can opt to use your composted creation entirely for potted plants.